Are you looking for excellent family eye care in Brooklyn? Shades of Brooklyn has been serving the eye care needs of the Brooklyn communities of Brownsville, Crown Heights, Canarsie, Bushwick, East New York, Bedford–Stuyvesant and Cypress Hills for many years. With its knowledgeable and loyal staff, family-oriented service, and a foundation built on excellence, our practice understands the eye care needs of our customers. 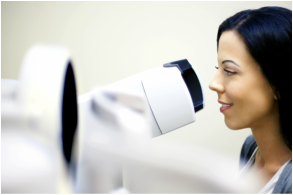 Our caring optometrists have years of experience. We offer quality health and vision solutions for the whole family. We also carry the finest in eyeglasses and designer eyewear and a large selection of contact lenses to suit our customers' every need. We accept most union and insurance plans. We invite you to come to our practice and have your eyes examined and see our large selection of eyeglass frames. Our goal is to provide you with dedicated and friendly service.